The chocolate maker has recalled its products from 55 countries, mostly in Europe but also as far as Vietnam and Sri Lanka, after plastic was found in a Snickers bar in Germany. The plastic was traced back to a Mars factory in the Netherlands. The recall does not extend to the US, where Mars is based. 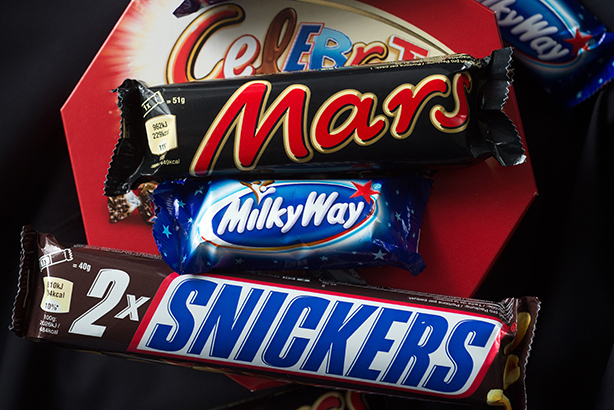 In the UK, the products affected include funsize Mars and Milky Way bars and boxes of Celebrations – information has been posted on the website of the UK's Food Standards Authority, and on Mars' social media channels. Richard Medley, head of corporate reputation at Frank PR, agreed that Mars had taken the right approach: "The alternative of delay, taking a risk on the actual scale and a risk on a boatload of customer and retailer questions, leads to issues of trust being raised. People forgive a piece of rogue plastic and move on. People don't forgive a brand of global scale putting profits before people." Paul McEntee, former consumer brands director at Edelman UK and more recently founder of the agency Mc&T, added that a short-term sales dip was by far the lesser of two evils. He said: "The timing is unfortunate with Easter around the corner, and the affected bars seem to be the funsize or 'party packs' – those mostly purchased by mums, which is where they will lose out significantly with trust and, ultimately, sales. "That said, they have reacted swiftly and transparently and despite the scale of the recall, it is a known manufacturing defect, not a foreign ingredient contamination – which would be far worse." Graham Godfrey, a food and confectionery industry consultant who has worked with firms including Cadbury Schweppes and Kraft, was asked on BBC Radio 5 Live this morning whether he thought the recall was "a bit of an overreaction", and replied: "I don't, to be honest." He went on to say: "I think they’re doing the correct and professional thing, i think consumers will actually react very positively to this because they’ll see the company as being alert, as responsive and responsible." A spokeswoman for Freuds, which works with Mars in the UK, said: "It's an ongoing situation. Consumer safety is Mars' number one priority, and we're working with it to communicate the facts of this voluntary recall to customers and consumers." A Mars Netherlands spokesperson has been quoting in various media saying: "We cannot be sure that this plastic was only in that particular Snickers. We do not want any products on the market that may not meet our quality requirements, so we decided to take them all back."